Maegan and Matt have been married for 10 years and together for 14 - so it was obviously time to get some photographs to celebrate this life that have built together. Love is a beautiful thing and I'm grateful I get to document it in all of its stages. Another season and another session with the Lang family. Elsie turned 1 year old in September and she has already been on the move for a few months, she is loving life and is a joy to spend time with and document. I have had the pleasure of knowing Jessica and Joseph my whole time living in Madison, Wi. Joey and Jess were my neighbors when I first moved here at age 19, we grew close and I've got to see their family grow through these 11 years. 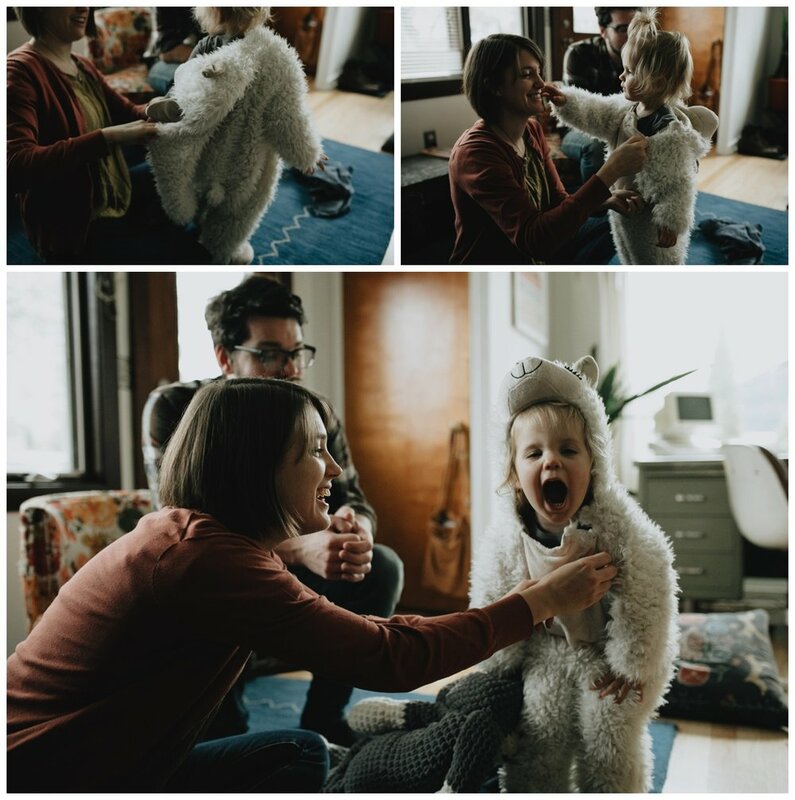 A few weeks ago I went over to their new home to meet their son, Sergio and spend an afternoon photographing a day in the life of this family. Chelly and Mark spent the year leading up to their wedding not only planning a wedding but starting the process to adopt a child. A month before the wedding they welcomed their baby girl, Cora into their home and then flew from D.C to Madison to celebrate with their community. This wedding had something different about it, it was about Mark and Chelly and their love for each other but also about their commitment and love for their child and the journey they were put on to find her. I'm sure you guessed it, I cried a few times at the wedding. "you may have noticed Ashlee and I have been absent from social feeds over the past year or so. This was due largest in part to our focus on starting a family. The journey has taken us on many paths— each one packed with various forms of struggle, perseverance, countless life lessons, and above all: personal growth. Through these experiences, Ashlee and I are proud to say we’ve emerged a humbled, more confident husband and wife. With that said, we are excited to announce that we are currently in the middle of an open, domestic infant adoption process! Some of you know the adoption process incredibly well and have been an invaluable resource to Ashlee and me. Thank you for your stories, wisdom, foresight and comfort. For those less familiar or new to this news, we have been working with the phenomenal organization Catholic Charities here in Milwaukee to help welcome a little one into our family. We cannot wait for the day we get to introduce him/her to you, and we are beyond blessed knowing that they will be met with the same love and community all of us have cultivated together over the years. Ashlee and I have been focused on learning as much as we can about adoption, as well as contributing to funding the journey with the means we have. All monetary resources ensure Catholic Charities is able to provide a safe, well-informed decision making process for the birthmother (and/or birthfather), as well as to help educate and properly prepare us for our family’s future. We have set up a GoFundMe account (www.gofundme.com/whittycommittee) in hopes of offsetting some of these upfront, financial contributions Ashlee & I have dedicated to the process. We know there are a great many deserved causes to align yourselves with—but if you are able, we would greatly appreciate your support! As it goes with any social campaign, simply forwarding our link to others to expand our visibility would be equally as helpful." A few weeks ago I met Tom and Colleen at their home, their home that is currently wood beams and big dreams. They gave me the tour of what the home will be and we took some photographs of them in their project as well as their amazing garden. We then went to the Arboretum where Tom took Colleen on one of their first dates and despite the mosquitoes, we had a lovely time. I am so excited I got to meet these two and I look forward to photographing their wedding next May! Lauren and Jonathon have been in front of my camera a few times for I had the opportunity to document their engagement and then their wedding. These two being me joy, I love working with them and I squealed with excitement when Lauren emailed me to tell me they were expecting and wanted me to document this stage in their lives. As we all paitently await their new family member, I thought I would share our latest session with you all. A Sunday morning with the lovely Rajala family while it is still just the 3 of them. We cannot wait to meet your little one in (hopefully) just a few days! Another season, another session with the Lang family - An early Wednesday morning, rainy and dark they make coffee, breakfast and entertained little Elsie who is now always on the go. These seasonal sessions are such a beautiful way to see how a morning routine changes as their daughter grows up. Last month Luke and I packed up my Honda Fit with musical instruments and cameras and hit the road to Austin, TX stopping on our way for Luke to play a few shows. Our main reason for this road trip was to visit our dear friends Katie & Maia and meet their sweet sweet little baby named Noah Ryan. He is basically perfect, their new home is the best and I really didn't want to come home - I wanted to stay on their back porch, snuggled in with a book and a baby and eat tacos from breakfast, lunch and dinner. So before we left, I had to document this little family in their new space. A few weeks back I drove out to Jefferson to document Brittany and Cory on a Sunday afternoon in their new beautiful home. They started their session out by finishing up their game of Scrabble, which I was totally into. With these two just recently purchasing this home, it was fitting to start our session here - these two are in the middle of making this place their first home and it was such a treat to see their progress. These two are getting marring this fall and they are totally adorable. A few weeks ago I met up with Hillary and Ted in their beautiful apartment in Silverlake. I've known these two since Junior High, I remember Ted's band, Left At Atlantic, I remember Hillary's first gigs at Copper Rock Cafe in Downtown Appleton and now these two will be getting married this coming August and are making a lovely life in Los Angeles. It was lovely to spend an afternoon with them in their neighborhood and I can't wait for their wedding! 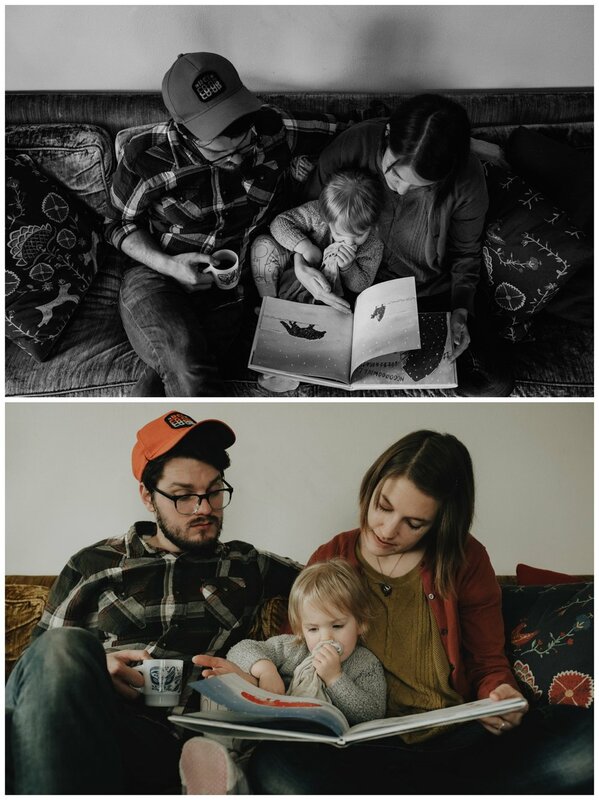 A few years ago I photographed the Kovacic family, at the time their youngest, Mike was just born - a few weeks ago I got to go back to their lovely home and photograph them again. 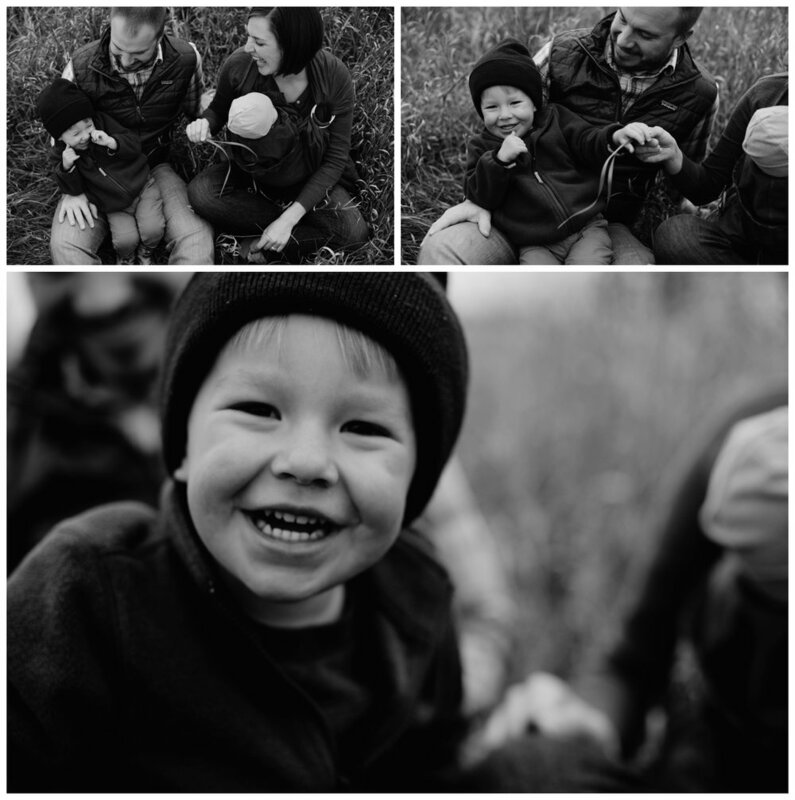 I love getting the chance to grow with families, and document their ages as they continue to grow up - this family was lovely to work with. A day surrounding the important things in life - love, family and community. Mark and Annie decided to get married in the backyard of Annie's grandparents who are no longer with us but the way their family honored them throughout the day was beautiful. Annie's Grandpa wrote her a letter for her to open on her wedding day, Annie's family wore pink to honor their Grandpa who wore pink often. Following the ceremony their family and friends walked the 4 blocks over to Annie's Parents home where they had a meal and an epic dance party. This day was a good one not only to attend but to document, watching the love these families have for each other and the support they have for Mark and Annie. When Annie would start to cry, the way Mark would smile and put his hand on her back for comfort. It was a good day. I met Christine 2 years ago at a photography workshop in California when we were all walking back to our cabins in the dark, we shared a flashlight - small world when we both realized we were from Wisconsin. From that point we started an online friendship, passed weddings back and forth when the other one wasn't available. So when her and Justin made the move to Madison, I was excited to have them here! 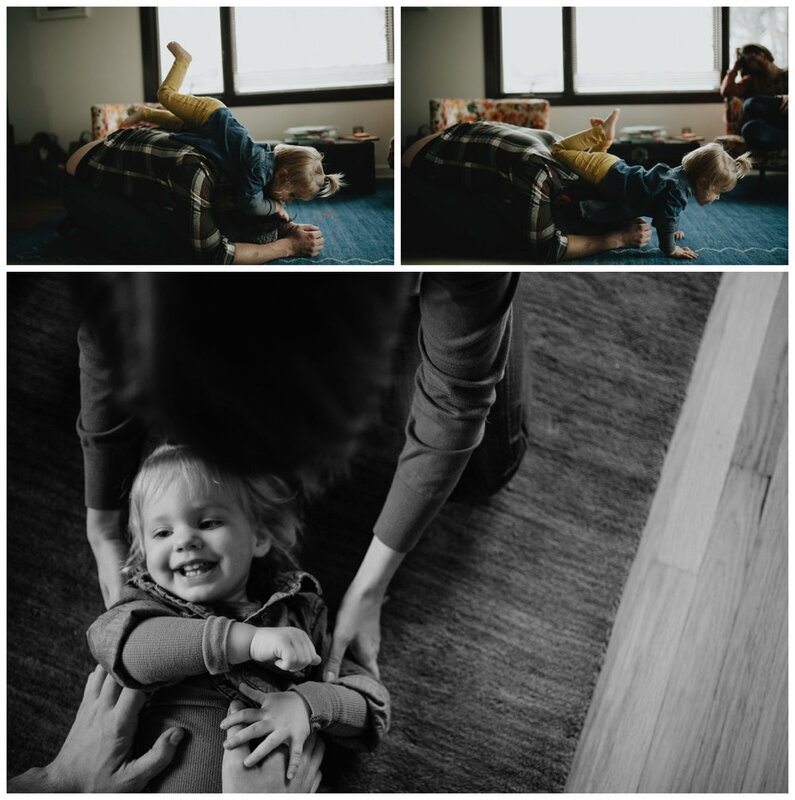 When we planned to do a shoot we decided the best way to welcome these two to Madison is to do a little walking around this lovely little place they now call home -- plus they are both super cute and fun. I've known Amy and Dan for about 14 years now, I watched these two fall in love, I stood up in their wedding and now I get to see them become parents and I am so beyond happy for these two and their little girl to come. A few weeks ago I met them in their home, had a meal and then went for a walk to do a little session of these beautiful two. A few weeks ago I had the opportunity to meet Linsey & Steven's daughter, Elliot. I spent a few hours with them in their ridiculously beautiful home as they spent the day together.